Admin should have the option to permit Moderators to change topic timestamps. 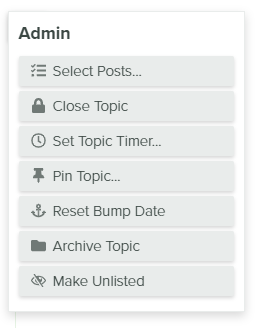 Currently, Admin can change a topic timestamp. There’s already some granularity as far as Moderator permissions. 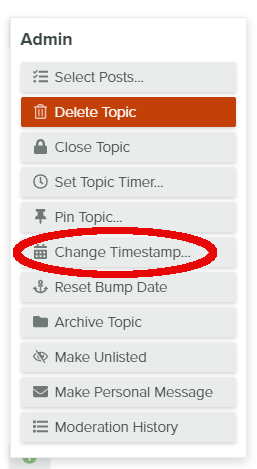 Could an additional option to “allow moderators to change topic timestamp” be added? Since mods can muck with post date by resetting bump I think it is reasonable to allow them to change dates. @vinothkannans can you extend this so mods can do this. I do feel though we should log that it happened in staff action logs, so confirm there is an entry there. It’s done. Now moderators can change timestamps.